As it currently stands, fossil fuels such as oil, coal, and natural gas are the main sources of energy on our planet, supplying about 90 percent of our global energy needs. There is no sign of this trend lessening – in fact, the world’s economy generally keeps on growing, and our need for fossil fuels will only continue to rise. The problems with fossil fuels are that they are not infinite or renewable, as well as generally harmful when burned. The environmental problems fossil fuels pose are even more serious as they are a direct cause of global warming. Most of us already know the problems with fossil fuels, but we continue to burn them like there is no tomorrow. But various scientific reports keep urging us to change our lifestyles before it’s too late and before we face a major disaster we can’t recover from. Basically, the world’s supply of fossil fuels is running out fast, and we are so dependent on them that it is catastrophic to even imagine what will happen when they do run out. Let’s take oil as one fossil fuel example. The production of oil across the globe is currently peaking, and most existing oilfields have already been mined and depleted. Highly advanced technologies are out to scan new potential oil fields, but the number of new places to look is on a decline. Quite simply, our oil supply is running out. Besides running out, the environmental problems fossil fuels present are no less serious. The leading cause of greenhouse gas emissions leading to atmospheric pollution is the burning of coal. Extensive fuel usage also emits a lot of toxins in large urban areas. This phenomenon is more commonly known as smog, and it affects the health of humans, as well as crop growth outside the urban areas. Other environmental problems fossil fuels create is oil-tanker spills. This really harms marine life. Fertilizers that are fossil-fuel based also contribute to water pollution. Water pollution is also caused by the mining of coal, especially when it is processed and transported. Perhaps the most catastrophic consequences of fossil fuel burning is the much talked about subject of global warming. 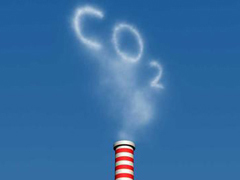 When burned, fossil fuels emit CO2 and various other harmful greenhouse gases. All this will eventually lead to climate changes that will be drastic, and will undermine the Earth’s entire ecosystem. So, as things stand, the future is looking pretty bleak. The only hope for humanity in the future is to make some drastic changes to our over-consumption oriented lifestyle. Otherwise, we may be facing greater problems than we can handle. Are There Untapped Oil Reserves?